Enter your number below and one of our team will call you back free of charge as soon as possible. Thank you for requesting a call back one of our advisors will be calling you shortly. Our opening hours are 9am - 7pm Monday to Wednesday, 9am - 5pm Thursday, 9am - 3pm Friday & Sunday. Unfortunately this number does not seem to be correct, please check the number and try again. 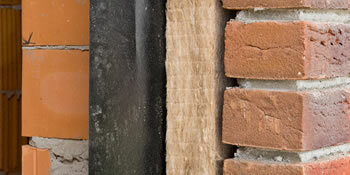 In this day and age insulation is vitally important for any home. As the National Grid gas and electricity prices continue to rise year-in year-out, ensuring your property is adequately insulated remains of highest priority. And insulation comes in many shapes and forms, covering a range of areas in the home. Effectively, with insulation fitted you’ll be able to prevent heat loss, locking more heat in your home and reducing the amount you need to spend to warm the property. So where can you expect to see insulation? Depending on your home, one of the best areas to ensure insulation’s fitted is in the loft. Heat naturally rises and without loft lagging installed to a required depth, it’ll simply escape the home. You should also consider the walls, whether they have a cavity or are instead solid. Most homes built after 1920 will have cavity walls and this can be filled with an insulating foam to prevent heat passing through. The windows are also an important area when it comes to energy efficiency, and double glazing should always be considered to make the most from heat retention. But some properties are a lot more difficult than others to insulate, and to do so would set you back more in the way of an investment. For that reason there’s the CERO insulation scheme, specifically designed to help those with hard-to-treat properties. Lofts or roofs that are deemed as hard-to-access. Essentially, with the CERO insulation scheme you’ll receive a grant to help cover the energy efficiency improvements so make sure not to miss out. It’s a fantastic chance to get help with the insulating of your home. Project: External wall insulation for 3 bed semi. Extension at back of house with full cavity walls and cavity wall 1m high on rest of house. Project: External Wall insulation on a brick property built in 1900. 4 bed detached house. Source: Numbers calculated based on the search volumes in major search engines. The below information demonstrates the energy performance of properties in Uk. Energy ratings vary from A to G, with A being the most energy-efficient and G being the very least efficient. The Energy Performance Certificate (EPC) rating comes into play heavily when attempting to sell your home, as prospective buyers will see how much they're probably going to be paying for their heating bills. Home improvements such as insulation help you to significantly boost a home's EPC rating. There are many types of home in the United Kingdom and the info below illustrates the type of houses within Uk. Throughout the country the most popular housing types are typically semi-detached and terraced housing, however detached homes, flats and bungalows are also available. The pie chart beneath indicates the portion of homes in Uk which are central heated and non-central heated. Central heating figures in the the vast majority of UK households, such as those on the gas grid and properties heated by oil and electric. The data beneath displays the spread of properties heated by different fuels. Around the UK the most common by far and away are gas heated houses, followed by electricity and then oil. Biomass boilers are also growing in popularity, heated by environmentally friendly products including wooden pellets or agricultural waste.|Houses in Britain are heated by a variety of fuels, including gas, electricity, oil, solid fuel and LPG boilers. Each fuel has a varying cost associated with it and that means you may find yourself with cheaper energy bills by changing the way your home is heated. Even solar thermal panels are being considered by many people as a way to lower heating bills for the years to come.